The Telesto ground station provides all of the tools you need to receive weather and atmospheric data from meteorological satellite systems and process them into image files. 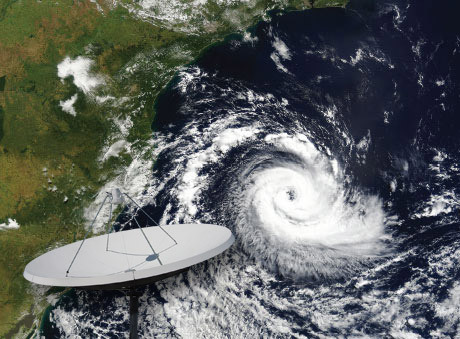 The satellite systems accessible via Telesto include the Geostationary Operational Environmental Satellite (GOES) East and West; the Japanese Meteorological Agency’s MTSAT spacecraft; the Chinese Meteorological Association’s FY-2 satellite; and the Korea Meteorological Administration’s Communication, Ocean and Meteorological Satellite (COMS). From manufacturing and engineering to final installation and training, the Telesto ground station is a turn key system, providing all of the hardware and software required to collate and analyze meteorological data. Top Image: Land Atmosphere Near-real time Capability for EOS (LANCE) system operated by the NASA/GSFC Earth Science Data and Information System (ESDIS) with funding provided by NASA/HQ.